Our integrated smart city solutions leverage technology to help city planners manage cities efficiently. 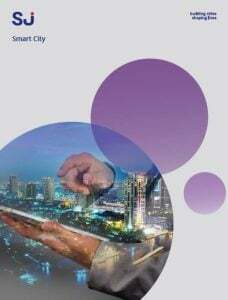 Smart City Solutions have become essential in an increasingly connected world. Our integrated smart city solutions focus on four aspects of a city, namely security, sustainability, efficiency (of services and infrastructure), and community (feedback and engagement). The ability to infuse the perspectives of city planners and developers into our integrated solutions empowers us to build future-ready cities.